The restoration and remediation industry has evaluated, cleaned, dried, deodorized and restored building structures, contents and high value possessions after fire and water losses, other catastrophic events and damage related to a wide range of contaminates for over half a century. The building restoration sector of the damage repair and remediation industry has a long history of established procedures, standards and certification criteria dating back to fire restoration’s early roots in the 1960’s to the development of standards for water damage restoration in the 1990’s. Mike O’Donnell and Ben Umberger were the guests on this week’s episode of IAQradio+. 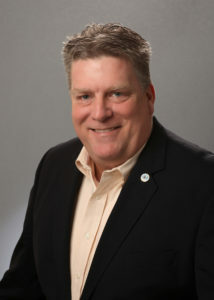 Mike O’Donnell, owner of a full-service contents restoration firm in Detroit, was the lead developer and instructor for RIA’s Contents Loss Specialist (CLS) course. Ben Umberger is Managing Partner of Carolina Conservation, a conservation studio specializing in fire and water damaged fine art. Industry Global Watchdog, Pete Consigli, CR, WLS and Shawn Silliman, CR, WLS also participated. Silliman a member of RIA’s Contents Council who filled in for Council Chair Jay Van Deusen unable to call in due to Hurricane Florence, joined the show for the Round-up to overview RIA’s Strictly Contents Conference being held in Detroit on October 25-26, 2019. Z-Man’s opening comments: I’m disappointed that with the obsession for bigger, faster and more expensive ways to blow hot air within wet buildings and performing unnecessarily complicated mold remediation procedures that restoration of personal property is becoming a lost art? I’m excited about today’s show, from my vantage point if restoration has a future it lies with firms committed to saving personal property? Before asking the guests to comment on pricing related questions, they were reminded to be observant of RIA’s Anti-trust policy which they were asked to review before the show. 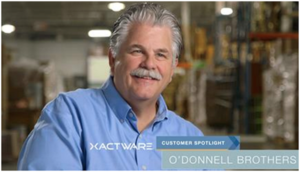 Mike: O’Donnell Brothers uses a Xactware product for digital inventory, photos, documentation of preexisting conditions, barcoding, and tracking items throughout the restoration cycle. The system is designed for and capable of managing inventory within high volume service firm where it’s a great time saver enabling items to be found in minutes. 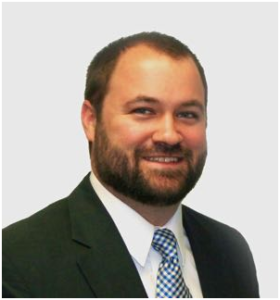 Ben-: Carolina Conservation uses a proprietary digital inventory program heavily focused on condition that works well for the firm’s specialized need. Provides customer with a receipt of items in their care, custody and control. Mike: Uses first responderswho cull out low value items and items damaged beyond economically feasible repair. Non-salvageable items are a waste of time, resources and space. The “allowed costs” for the cleaning of large heavily smoked items common industry computer estimating programs are “not well thought through”. The estimating program may allow $15 for cleaning a dining room table, not considering the hours of time needed to:disassemble, clean seams and reassemble. Insurance adjusters insist on paying flat rates without considering extenuating circumstances and important additional details. It’s important for the estimator to be able to identify antiques and higher quality furnishings. Like Kind and Quality is an important consideration when comparing replacement cost to restoration cost. Higher quality furnishings are often more complicated and difficult to clean. Flat rate box pricing is the best way to price small items such as china services, small appliances, cooking utensils, etc. While 3rd party administrators are seeking to get a grasp on contents pricing, they currently aren’t a factor. Ben: The value of artwork is subjective. His firm often encounters low cost artwork purchased at retailers such as Bed, Bath & Beyond. Paint by number painting done by a friend or relative and tourist items purchased on vacation may have great sentimental value. Conservation costs must be cost effective. Obtains valuations from appraisers when needed. Bases pricing on time and material. Evaluation prior to treatment is an art. Is averse to asking for supplemental payments. Importance of setting customer expectations. Work load is primarily art does commonly encounter: antique firearms, crystal, fine china, etc. Mike and Ben agree that: Clients ability to pay doesn’t affect cost. Value of the item and difficulty of treatment does affect cost. It’s unethical to tie pricing to a percentage of value. Ben: Employs fulltime in-house art handlers who soft pack, crate or rig items (chandeliers, etc.) being restored. Mike: Does own moving in-house. Has 5 custom designed moving vans some with racks to hold boxes. Is averse to boxes within boxes. Is old school preferring the load stability afforded by hard sided moving vans over soft sided vans. Ben: Looks to experts for guidance. Ben and Mike agree: Workers commonly encounter fire related particulate, microbial contamination, lead paints, asbestos, cleaning chemicals and solvents. Use ventilation and other environmental controls. Provide safety training and PPE to workers. Use containments when necessary. Mike: Subcontracts electronics due to diminishing costs and concerns over warrantees. Ben: We must provide value to everyone involved. Conservation work commonly handed-off to him by restoration companies. Not involved in adversarial relationships. Facilitates the insurance carrier’s delivery of policy promises. Ben: True conservation has a high barrier to entry. Conservators have Masters Degrees and 2 years post graduate experience. Costly specialized equipment and instruments. Understanding of chemistry. More to conservation than watching a YouTube video. Both Ben and Mike have the ability to fix their mistakes and accidents.Mike has unique risks and has insurance polies built around his business. New Insurance Product for Contents Restoration Firms: Full replacement cost Bailee’s coverage. Mike isn’t a fan of onsite storage containers, citing concerns over temperature and humidity fluctuations and custody & control issues. Ben: Work on murals, large chandeliers is commonly performed onsite. Work in-situ is done to reduce damage risks. Mike: Old Masters paintings subcontracted to a local conservator. Arnold Palmer’s green jacket from winning The Masters golf tournament. Ben: Carved ivory urns with important ashes inside and smoke damage outside. Sports and musical memorabilia. Taming the Wild West. There are no rules, regulations or standards for contents restorationand pricing. Standards and systematic training are important. Mike chaired the committee. Comprehensive program. Course based upon the Certified Restorer Body of Knowledge. Name the nineteenth-century American cabinetmaker known for incorporating a harp into his furniture designs? Although contents have always been part of restoration projects it has only been the past two decades that this sector of the restoration industry has evolved to become a more main stream service. Restoration companies can provide insurance industry policyholders and their carriers as well as property managers or owners involved in an indoor environmental remediation project a high percentage of restoration for damaged contents. This is due to a variety of reasons spawned from multi peril coverage insurance policies that offer consumers full replacement cost for items that cannot be restored to a pre loss condition. This need has engaged the restoration industry over the past quarter century to develop restorative procedures for a wide range of contents from hard and soft furniture, to garments, bedding and window coverings to high value or specialty items such as artwork, oriental rugs, pool tables, musical instruments and fire arms. The industry has also developed procedures and in some cases standards to address the assessment and restoration of contaminates for both structures and contents beyond the most frequently encountered smoke, water and mold claims. This may include but is not limited to events from tear gas, sewage, skunk emissions, trauma scenes, hording, meth labs and regulated materials such as lead and asbestos. Many of today’s commonly used assessment techniques and restorative equipment and procedures have been developed by innovative suppliers, and training organizations, anecdotal best practices shared by trailblazing restorers or technology adopted from a related industry and modified for professional restorers. In some cases evaluation and restoration protocols and methodologies have been adopted based on an exchange of information or best practices from forged relationships with specialty service providers from the conservation, environmental, building science, dry cleaning and other specialty industry sectors or professionals who commonly interact with restorers. The Restoration Industry Association (RIA) over the past year has released the industry’s first body of knowledge called, The Certified Restorer (CR) Body of Knowledge (BofK), the complete guide for those pursuing excellence in restoration education and training. The CR BofK serves as the foundation and domains of knowledge for RIA’s five advanced certification programs. The four cornerstone of pillar certification programs leading to the industry’s preeminent certification as a CR are in the disciplines of water loss (WLS), contents restoration (CLS), fire loss (FLS) and environmental restoration (ERS). This week’s show will delve into the development of the contents restoration segment of the industry that will set the table for this fall with the rollout of RIA’s advanced certification program for a Contents Restoration Loss Specialist known as a CLS, followed by RIA’s fall conference marketed as the Strictly Contents Summit. The show’s multi disciplinary expert panel includes Jay Van Deusen the chairman of RIA’s Contents Council and full service restoration contractor based in the Baltimore, MD metro area, Mike O’Donnell the lead developer and instructor of the CLS program and owner of a full service contents restoration company in the Detroit, MI metro area and Ben Umberger the managing partner from Carolina Conservation based in South Carolina. Please join us today to get better educated on the assessment and remediation of contents with an angle on specialty restoration practices and conservation tips on dealing with high value artifacts. Learn how to qualify, locate and work with a contents restoration specialist on your next remediation project! Mike O’Donnell has been a leader in the contents restoration field for over forty years. He started as an apprentice at Bix Furniture Service in St. Clair Shores, MI in 1975. He worked his way up through several Detroit area firms until he held the title of Master Craftsman and Forman of the Finishing Department at Englander’s Inc. from 1978 until 1985. It was at this time that Mr. O’Donnell received more training in the disaster restoration field and in 1988 Mr. O’Donnell started Professional Furniture Service with three employees in a 1200 square foot facility. Over the next 28 years, Professional Furniture Service has changed its name to O’Donnell Brothers Professional Furniture Service. Along with the name change came tremendous growth as today, O’Donnell Bros. occupies a 130,000 square foot plant with state of the art restoration and storage capabilities, doing over a thousand pack-outs each year. O’Donnell Brothers Professional Furniture Service has become the largest independent restoration company in the United States. In 2005, Ben Umberger co-founded Carolina Conservation, the nation’s first fine art conservation studio exclusively specializing in fire and water damage for the insurance restoration industry. In addition to fine art, Carolina Conservation provides high value and specialty contents services to insurance restoration professionals nationwide. Passionate about sharing his knowledge with others in the restoration industry, Ben created and implemented the company’s business-to-business education and training programs. Through these programs, Ben coaches contents restoration contractors and insurance claims professionals on the identification, handling, and appropriate care of disaster affected fine art, specialty, and high-risk contents. By bridging the gap between the institutional world of conservation and the practical realities of contents restoration, contents professionals are given the opportunity to elevate their processing skills, increase capacity for full service contents solutions, and improve the perception of their operations in the eyes of insured’s and adjusters. Ben provides consulting to insurance carriers, ultrasonic equipment manufacturers, franchisors, contractors, trade associations, as well as other training providers within the insurance restoration industry across the US and Canada. residential clients, doing business as Van Deusen Construction Company, Inc. Jay graduated from Pennsylvania State University at University Park with a BS in Agricultural Science in 1985, with an emphasis on business and marketing. Prior to starting Van Deusen Construction, Jay worked in residential construction as a carpenter and foreman, building Williamsburg reproduction style homes in Harford County. Jay has been active in many builder and remodeler associations, including The National Association of Homebuilders (CGR, CAPs and CMBR program certifications), The Home Builders Association of Maryland, The Remodelers Council of HBAM and the Maryland Improvement Contractors Association. Many of Jay’s projects have won awards in design and quality of construction awards during the past 25 years, including the Guild Quality Guildmaster award for five years, recognizing his commitment to customer service and the national Chrysalis Awards for recognition of quality construction and design excellence. to teach in both the classroom and in hands on facility. Government Board of Appeals for the Building Code. restoration industry as it did in construction.